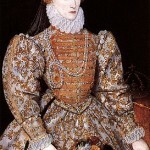 Who was the last Queen of England? Will Prince William’s wife become a Queen? Philip on Who was the last Queen of England? gerard on Mum or Mom? Maud on When should we use the word British? Mary on Can you help me with a Superstition? Can you help me with a Superstition? When should we use the word British? Copyright © 2019 Project Britain News Blog. All Rights Reserved. Magazine Basic created by c.bavota.